Padmavati is going to be the first film that will have Sanjay Leela Bhansali and Shahid Kapoor teaming up. The film has gone on floors and is in news for the disgusting attacks that happened recently. Much before Shahid is done with his Padmavati shoot, news is that SLB has offered him another film. 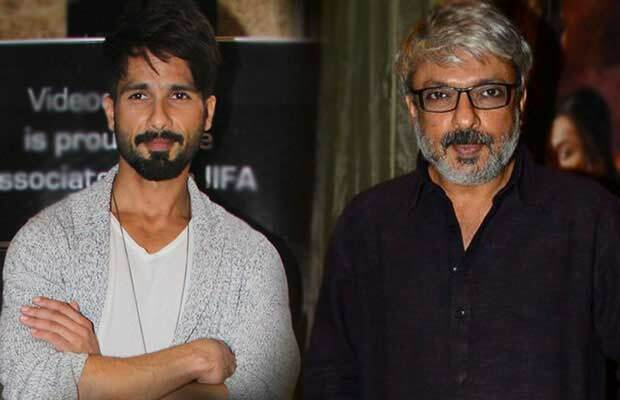 Sanjay and Shahid will be working again in his next production venture under Bhansali films. This won’t be a film that the Bajirao Mastani director will direct. The film is titled Tuesdays And Fridays and it was initially offered to Vicky Kaushal who has been signed on under the banner for a three-film deal. It is a romantic comedy and something that Shahid was wanting to do, after three back to back intense films. The film will also have a fresh pairing as Shahid Kapoor will star opposite Dhoni star Kiara Advani. Kiara has been signed on for the project and Shahid has now replaced Vicky in the film. Previous articlePhotos: Om Swami Spotted Playing Holi With Priyanka Jagga! Next articleBaahubali: The Conclusion Trailer Out: Baahubali 2 Is Visually As Well As Emotionally Spellbinding!